Firstly, we must understand what is refuge, whether you are of the superior, middling or lower capacity, you must understand the meaning of refuge. When you are undertaking any matter, large or small, you should recite the refuge prayer before beginning and pray to the Triple Gems. “The Triple Gems are undeceiving and infallible, the law of karma or cause-and-effect is unequivocally true.” We are all Buddhists, so from the moment we become Buddhists, we should guard our conduct according to cause-and-effect like protecting our eyes. There are countless Dharma teachings in Buddhism but can sentient beings understand all these teachings? The essence of Dharma is encapsulated in the six syllables Mani mantra. We must be clear about this point. The Dharma for sentient beings in samsara is the Mani mantra, if we can recite this, we will gain independence or control over ourselves. After death, we will not fall into the hells and will be able to enter the pureland. This depends on each person. Besides this, no-one can have control (over the outcome), no-one will escape death. This is the simplest and yet most profound Dharma. With this, one need not beg others for help, there is also no need to beat (drums), blow (trumpets), clash (cymbals) or clap (referring to the rituals). In the age of five degenerations when Dharma is at its weakest moment, if the person has the merits to do so, no matter where I go, there are those who are 60 or 70 of age who will recite 20,000 mantras daily at maximum, the middling quantity is 10,000 and the minimum would be 5000 mantras daily. This Mani mantra has been practiced in 100 million Mani recitation pujas in many places in the Himalayas such as Nisha, Kunnu, Ladahk, etc. This is beneficial to the Buddhadharma and all sentient beings in samsara. It will also be helpful to reduce the obstacles faced by Tibetans in terms of the propagation of Buddhadharma in Tibet. Firstly, we visualize the refuge of Triple Gems, then we can perform all kinds of large or small positive actions. But what should we do here? We should recite the Mani mantra of Chenrezig, in this way we will purify all the negative karmas of this life. We can purify all the negative karmas accumulated since beginningless time. In our past lives, how much negative karma we have created, in the previous past lives, and in lives before that, from beginningless time in samsara, we have created (enormous) bad karma like we did in this life itself. But if we recite the Mani mantra that counteracts the defilements, we will purify these negative karmas. If we do not recite, then these negative karmas will not be removed. By reciting, we can attain the common and supreme accomplishments, and reach an irreversible stage through the common and supreme accomplishments. We can be liberated from samsara. Samsara is like an ocean of suffering, isn’t it so? Constantly creating negative karmas, we continue cycling in samsara endlessly. 100 years on Earth is suffering in hell for one day. How much more suffering must we go through? All the lineage masters said that we should not waste this precious human life. When we are in the negative age of five degenerations, Buddhists who obtain this precious human life are as rare as the stars in daytime. We should recite the Mani mantra seriously all the time. Don’t lose this chance. When we face death, there are only the white and black paths, there is no other path. There is no way we can avoid facing the King of Death, Yama. In his mirror that reflects the karma of beings, all the good and bad deeds we have done will be shown clearly. There is no way to give excuses, debate or lie. Young people should not lose your culture. Think well. Young people must regard parents as the main point when observing cause-and-effect. Quarreling with parents, hurting parents’ feelings, criticizing parents, abandoning their parents. There are many such people. This kind of person will not have a good day in their life. Cause-and-effect will not fail. There will be retribution for such karma. You must remember that parents have kindness to us. We are all Buddhists. Just as it is said that the parents’ kindness is equal to that of the Triple Gems. Parents take much effort to bring us up, one does not take birth effortlessly. When mothers have us in their wombs, they have to consider us carefully, afraid to harm the foetus, not able to eat anything they wish. After 9 months and 10 days, when the baby is born, the baby has no control over his life or death, with no ability to discriminate, the parents have to take care of one, all the phlegm and snot, parents have to clean, even using their mouth, isn’t the kindness of the parents great? If entering the Buddhist path upon obtaining a precious human birth, we are not fearful of karma, causing grief to our parents, mistreating our parents, taking the best for ourselves, this is not permissible. A good child will first offer food to parents, offer the best clothes to parents, and finally make aspirations and strong wishes to repay the kindness of parents. Children should observe cause-and-effect. We are not Buddhists who are careless and negligent of karma, we should understand these principles. If we do not know this, we are like animals. Whatever the situation, the Triple Gems are undeceiving and infallible, if we meet with all kinds of obstacles, we should pray to the Triple Gems, there is nothing more superior to this method for liberating one from the obstacles. There is no such thing as remaining a long time in this world so we should contemplate on impermanence and death from the bottom of our hearts. The Mani mantra cannot be accumulated in large numbers in a short time. One has to start reciting when one is young, and by the time one is old, one would have accumulated a large number of recitations. No matter what, positive and negative deeds will never disappear or be discarded, this point must be clearly understood. Everyone looks down on the recitation of Mani, thinking that it is for people who don’t know anything much else. Such kind of thinking is pure ignorance. The Mani mantra is very very precious. Please recite the Mani well, safe-guard your own culture and have faith in the Buddhadharma. 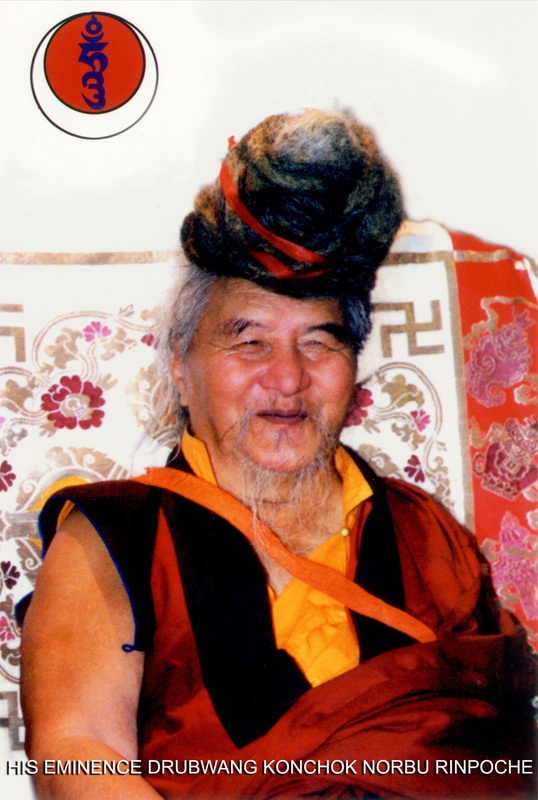 It does not matter if you have much knowledge or not, or whether you are of higher, middling or lower spiritual capacity, this Chenrezig’s Heart Mantra Practice is suitable for everyone. It does not require a deep understanding of the Dharma as the foundation to practice. It does not require the practitioner to be very knowledgeable. As long as the practitioner recites the Six-syllables mantra with sincerity and perseverance, the person can attain enlightenment. In the past, there have been many practitioners who attained high realization with Six-syllables mantra practice. When we are able to tame our mind, eliminate our discursive thoughts, purify our mental defilements and discover our inherent true nature of mind, we will be able to awaken our innate wisdom and accomplish Buddhahood. This entry was posted on 18181818, in Mani mantra, Teachings.